It's still hard for me to fathom that more than 10 years have past since Lauren and I have shared an apartment, and because she had a window AC unit, a bedroom. 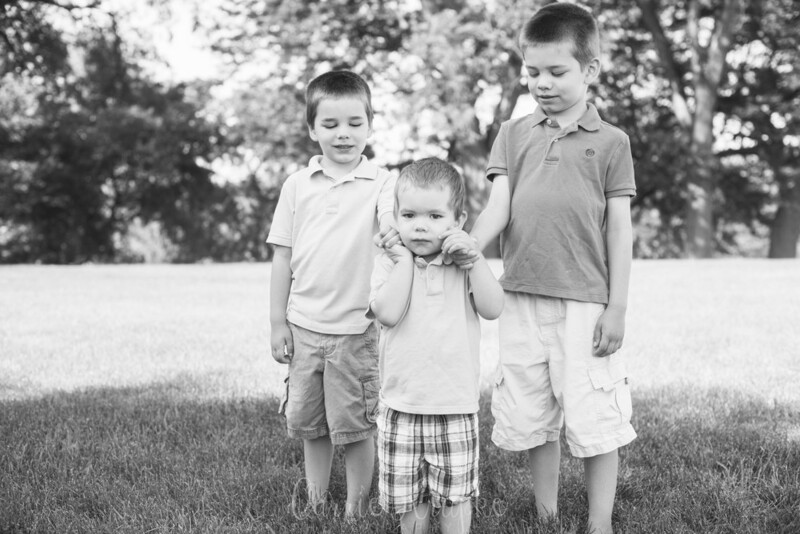 It's also still hard for me to fathom that she is a proud mama to three wonderful boys, but it's not at all a surprise that they are growing into awesome Little Men. Together, Lauren & Shawn are doing a fantastic job of raising these two rambunctious and one contemplative little people and I couldn't have been happier to photograph them this particular hot morning. 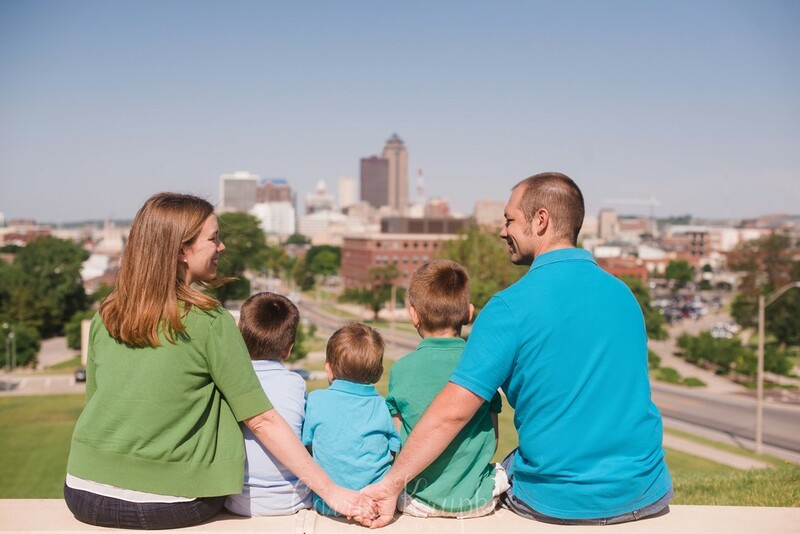 Iowa has encountered a hotter than usual June and I was so thankful they could do their photo session in the morning before the weather truly became "weather you can wear". (Someone tell me that July won't be as bad?) Thankfully, you can't tell how humid it was by the smiles on these faces! Nathan, Christian and Zeke are awesome, as I've mentioned before, but to get a little smile or smirk out of Zeke was definitely the accomplishment of the morning. I love the photo directly above and the ones directly below for just that reason!